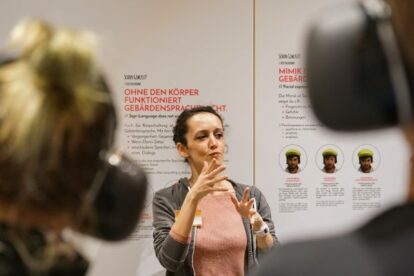 If you have always been wondering what life is like for deaf people, at the Hands Up museum in Vienna, you get firsthand experience on sign language and the barriers — and benefits — that might come with it. This interesting and fun new exhibition in the city center is where your adventure into a different way of using your hands begins – unless you’re a natural with sign language. Bring your friends for deaf-style karaoke! You can walk through the museum on your own, everything is written out in German and English, but I highly recommend taking a tour (at no extra cost)! The exhibition guides are all deaf, and therefore able to give you authentic insights into what the world is like when you hear nothing – worry not, they are perfectly able to communicate with you. How? Well, you’ll have to go there yourself! A perfect pair of two revealing museums that you can visit one after the other. If you only stay for a limited time in the city, I recommend visiting Hands Up first because it is the only of its kind in the world – so far!